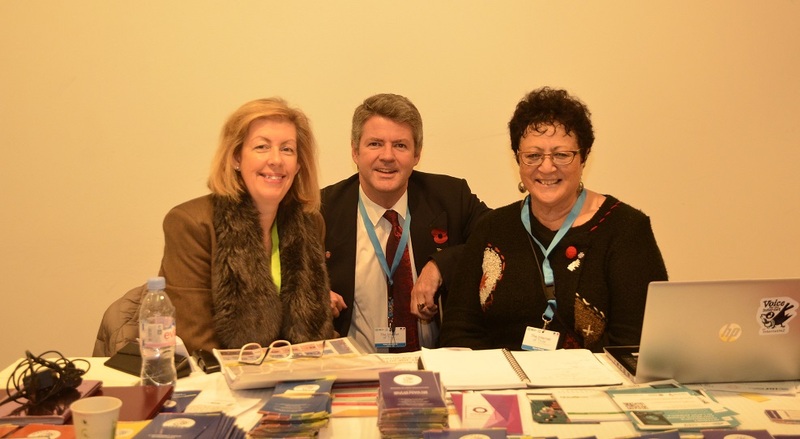 (L-R): Glenn McKnight, NARALO Secretariat and Natalia Filina, EURALO member at the At-Large Booth. 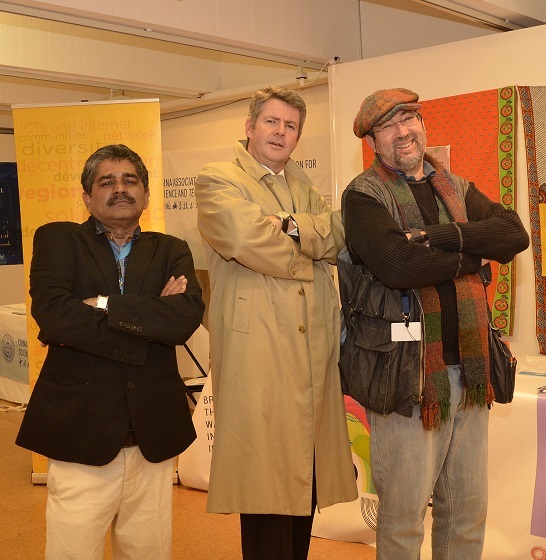 (L-R): Sivasubramanian Muthusamy, APRALO member, Olivier Crepin-Leblond, EURALO Chair and Sebastien Bachollet, EURALO ALAC Member, strike a pose. 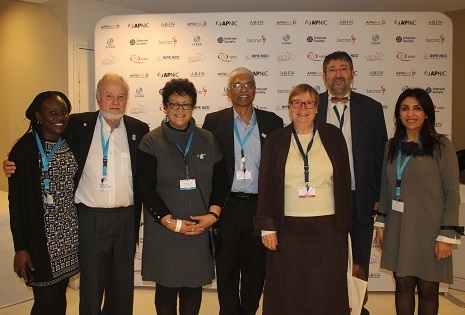 At-Large leaders at IGF 2018 in Paris, including Maureen Hilyard, ALAC Chair. (L-R): Sally Costerton, ICANN GSE SVP with Olivier Crepin-Leblond, EURALO Chair and Maureen Hilyard, ALAC Chair. 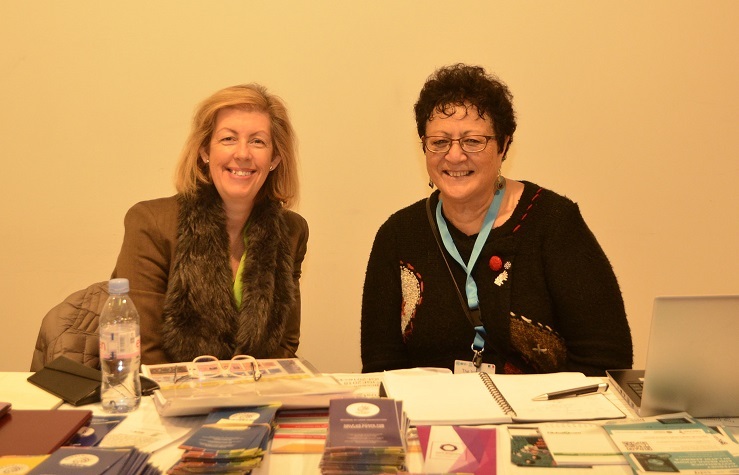 (L-R): Sally Costerton, ICANN GSE SVP and Maureen Hilyard, ALAC Chair. EURALO and CENTR sign an MOU during IGF 2018 in Paris. From 12-14 November 2018, At-Large Community leaders gathered at the UNESCO Headquarters in Paris to attend the 2018 Internet Governance Forum (IGF 2018), hosted by the Government of France. To see all At-Large activity from the event, please see At-Large Outreach Activities at IGF 2018 Paris. 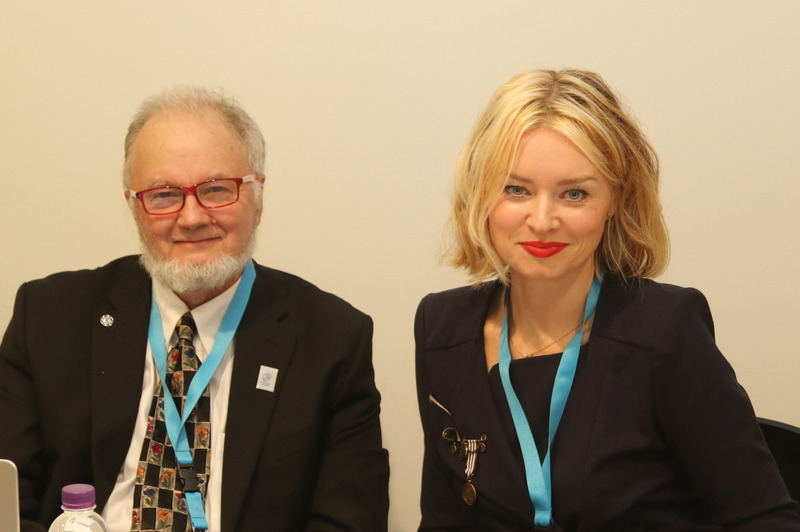 Click here to find a compilation of pictures from the IGF 2018 in Paris by Glenn McKnight, NARALO Secretariat. 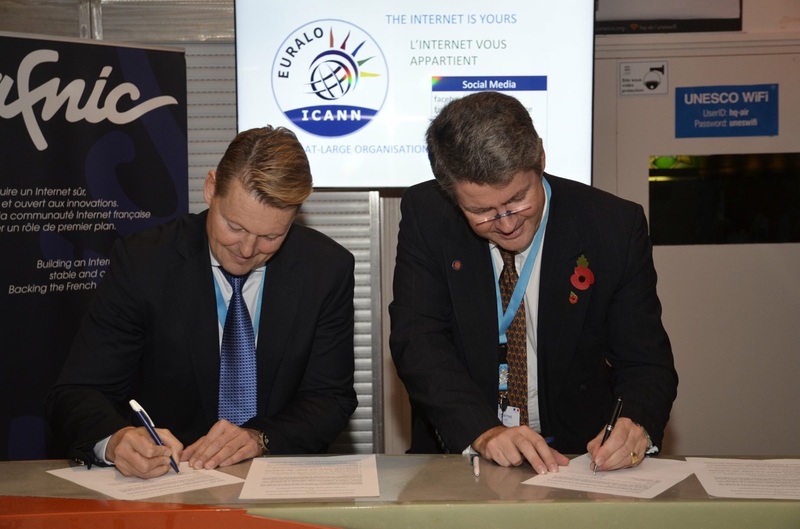 Click here to find a compilation of pictures from the EURALO-CENTR MOU signing in Paris. 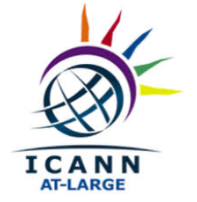 Click here to follow ICANN At-Large on Twitter.